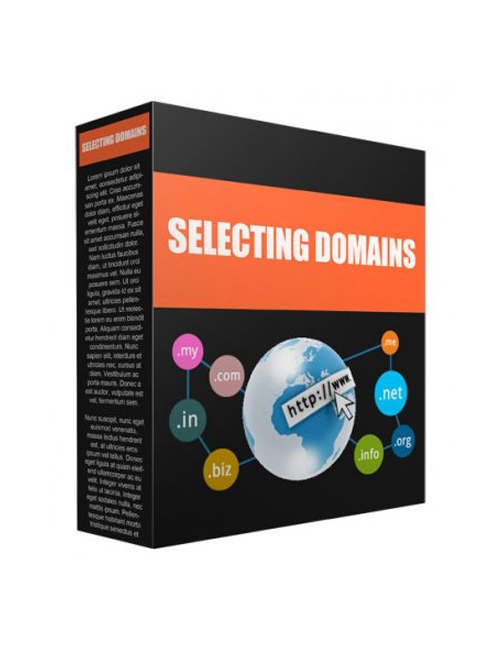 Selecting Domains is the proven audio download that shows you what to look out for when searching for a domain name for your website or business. Back in the day you didn’t have to worry about what sort of domain you used because there wasn’t as much competition online. One word domains were plentiful and available. Fast forward to now and it’s almost impossible to find single word domains. But what’s most important here is that length of domain isn’t imperative for your success. You need to put more emphasis on your brand and building your brand up so that your presence online will be widespread and people from all walks will find you. When a company gets big enough, the name is secondary. Think of the biggest computer companies like Apple for instance. At the time some would think “What the heck does an apple have to do with computers?” And now here we are! You see a picture of an apple with a bite taken out of it and you know it’s Apple computers. This is the thinking you need to have when selecting domains. Another thing to note is that a keyword optimized domain still helps no matter if some experts say differently. Unless you have hundreds of high quality blog posts and content pages on your site, you would want to have a keyword in your domain. And your domain can be a phrase instead of a single word. We’ve only barely broken the ice here but if you want to know more about finding the right domains then Selecting Domains is the download you need. Definitely an important audio that you need to listen to before setting off on your domain hunt.